What Does It Mean to Spin Locally? I struggled with the theme of the Winter 2017 issue of Spin Off: Locavore. The locavore movement has a feel-good element. Improving health and environmental quality aren’t the only reasons that choosing locally sourced food (and drink and fiber) has become so popular; it’s also participating in community. 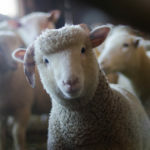 Spinning is tactile and present, and it’s a special feeling to meet the critter who grew your fiber, see the cotton farmer in her field, or visit the spindle maker’s studio. But as editor of a magazine that reaches spinners around the globe, how can I turn away from members who happen to live on the other side of the globe, whom I might see rarely (if ever)? Schacht Spindle Company is local to me and sources a shocking amount of its material nearby. I couldn’t ask for a better neighbor. Thousands of miles away, the Kromski family uses and replants local timber and employs members of their local community. Even farther away, the Ashford family preserved a nearby woolen mill—and with it the ability to process fiber from local farms without sending it overseas. Buying any of their tools here supports my spinning shop, but if I buy a tool or fiber at a festival, I support my local fiber event. When I travel, I love to buy fiber and tools from the places I visit; if I’ve taken an airplane to get there, I’m not exactly spinning local. Ultimately, this issue seeks to be inclusive and celebratory rather than restricting. It might seem huge and even impersonal, but the world of spinners and our materials is an intimate one. I see the desire to spin local as a call to reach out, understand the stories behind each connection and transaction, and think about abundance and spinning in a new way. 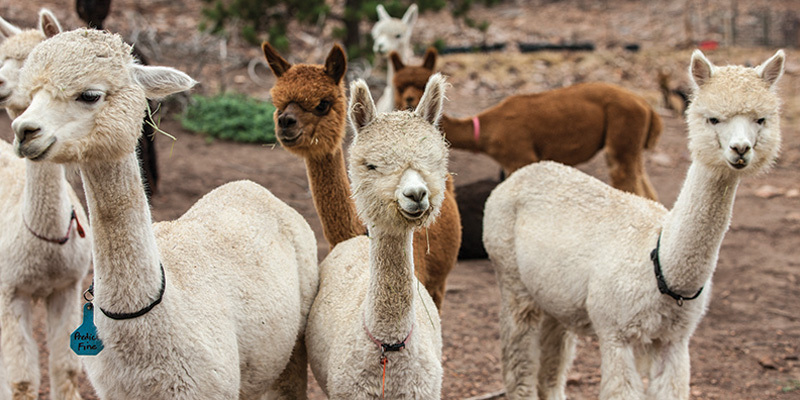 Thanks to Mountain Sky Ranch in Berthoud, Colorado, for hosting the photography for this issue. 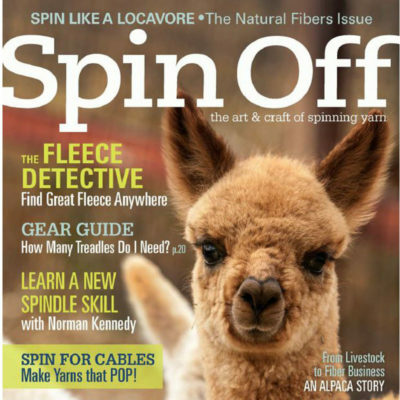 Read about the Dorband family’s alpaca yarn project in “From Backyard Farm to Fiber Business,” Spin Off Winter 2017. Featured image by Joe Coca.